A crop sprinkler brings water to a field as drought conditions worsen near Bakersfield, California. The bill is the Democratic response to a GOP drought bill in the House. 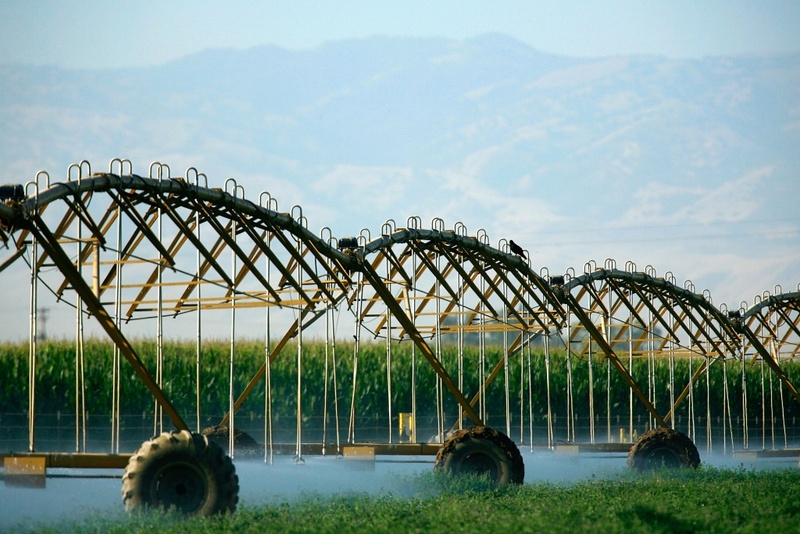 KQED's Central Valley reporter, Sasha Khokha, joins the show with the latest on the how the farming communities of the Central Valley are dealing with the water shortage.